The last round of Area Command meetings are happening in September and October. 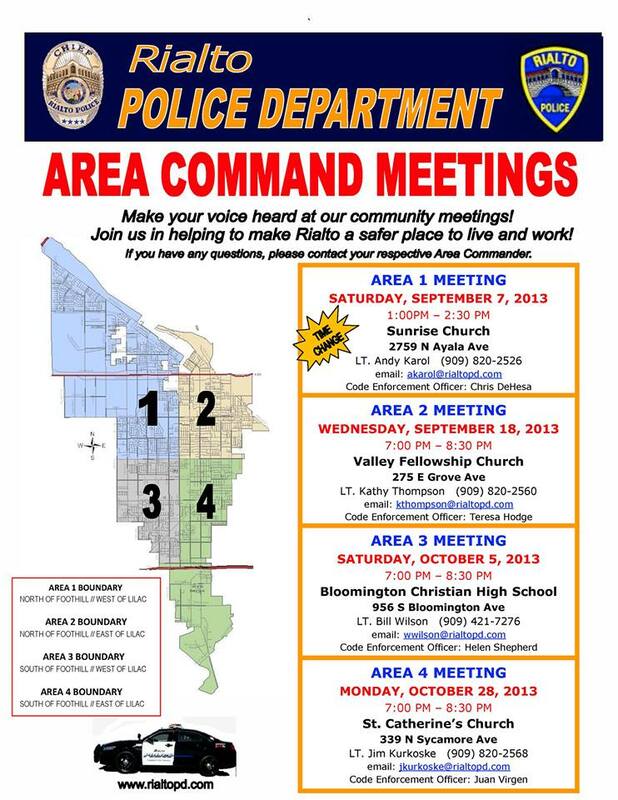 The first Area Command Meeting is this Saturday at 1:00pm at Sunrise Church in North Rialto. This is Area 1 Command meeting and its a meeting you need to attend if your in the respective area. Lt. Andy Karol always brings out the resources that the community is looking for. Area Command meetings are more than a law enforcement tool to get the word out to the community. Various city departments come out and give you the information you need and answer your questions.